If you’re looking for a go-to list of fun stuff for your child to do – without you constantly having to weigh in – here are nine ace places to start. Dress-ups is not only a lot of fun, it’s developmentally brilliant too. Children get to try on funny hats and capes and shoes – and playing roles helps them to better understand not only themselves, but others too. Plonk a box of dress-up clothes (scour your local op shop for treasures!) in front of your child, and they can busy-bee themselves with imaginative play – and learning to put on different kinds of garments – for at least 15 solid minutes! Maybe more! Music is fun to listen to and move to, and helps kids develop stronger language and memory skills too. It promotes movement and teaches children concepts of pattern and rhythm that will stay with them throughout their life. Give them an instrument to play along with, encourage them to dance and suggest they sing along. 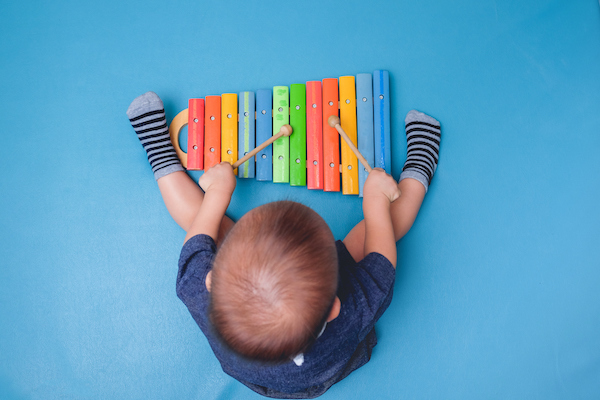 Putting on some gentler music and encouraging your child to slow down, snuggle down and listen can provide a much needed reset – and extra minutes in your day to get other things done, too! Kinderling Kids’ Radio is packed to the brim with brilliant kid-friendly tunes. Focus your child on the brain-boosting fun that these sorts of games have in spades. Depending on your child’s age, you could try a super-simple puzzle or some colourful matching cards to pair up. If they’re a little older then memory games are a brilliant way to keep little brains busy. Or get them into the laundry basket, pairing the odd socks up! 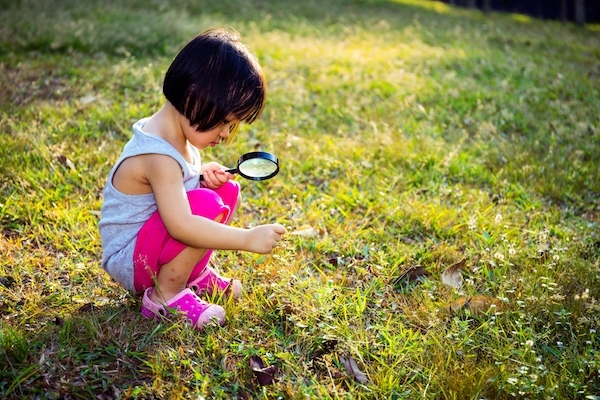 Creative, hands-on activities keep little minds occupied and imaginations turning over. 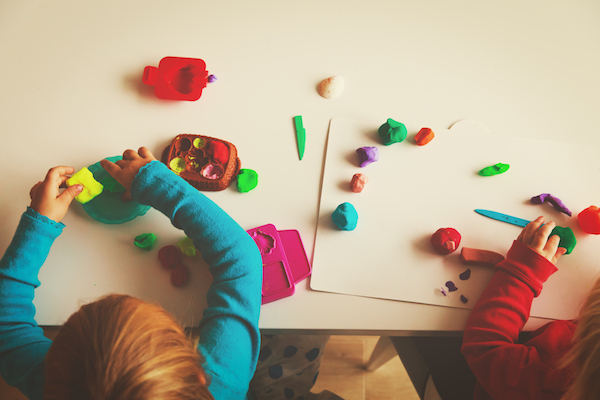 Set up a dedicated area for arty play and keep it well stocked with paper and colourful supplies to spark little Picassos. The brilliant enduring play dough can be your best babysitting friend too (if it’s kept far from the carpet!) If you’re not keen to have art materials on the loose, sticker books can be a great compromise. What could be more fun for a small child than to construct their own little land? Start with a bowl, tub or even a sturdy cardboard box. Add some little plastic figures or op-shopped treasures. Perhaps glue some coloured paper to the bottom – or you could go for sand if you’re not the neat-freak type! Let your child create their own little world for tiny toys to play in. Good old Lego or Duplo – or simple wooden building blocks – help children hone their property developer skills and encourage spatial awareness, hand-eye coordination and divergent thinking, in the process. A generous tub of these kinds of blocks is a must for small kids – and parents of small kids who need an easy go-to activity. Collections are the perfect plaything when it’s time for some solo play time. Help your child gather their own collections – of acorns or shells or toy cars – and store them in a special box, awaiting quiet times like this! Sometimes, just sometimes, only Peppa Pig or Paw Patrol can get the keep-my-child-busy job done. Limited screen time, watching quality content, is not such a bad thing for kids to do alone. Of course, science tells us that watching WITH your kid reaps better rewards, but heck … nobody’s perfect!